David Jennings is a Director with over 30 years’ experience as an Architect (RIBA) specialising in redevelopment in sensitive historical environments and listed buildings. 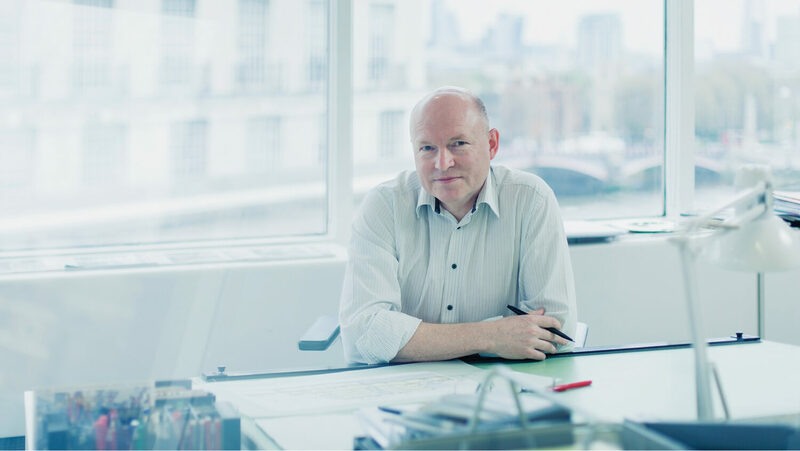 David has worked for a number of high profile architects including 11 years with James Stirling where he worked on the Stirling prize winning Stuttgart Music School and was team leader on the RIBA award winning Tate Liverpool. At EPR, David was responsible for designing Cardinal Place and in particular creating a public realm and retail strategy that won the BCSC Gold Metal 2006 and the IAS/OAS office building of the year. David is currently overseeing the conversion of Lutyens Grade I listed former Midland Bank Building in the City of London into a luxury hotel for Soho House. David sits on the Hertfordshire Design Review Panel, the committee of the Westminster Society reviewing major applications and had been a Civic Trust Assessor for many years. He was a judge for the Hertfordshire Building Futures Awards 2015 and is a visiting critic at Kingston University.